If a Complaint for Divorce is not answered, you will be subject to a default judgment and an Equitable Distribution Hearing will be set up by the Court. With a default judgment against you, you will not be allowed to speak on your behalf at the distribution hearing as your attendance is not required and your spouse can request anything in the Divorce Judgment. Many spouses believe they do not need an attorney when served with divorce papers. Nothing could be further from the truth. Your spouse’s attorney will be working for the best interests of their client meaning your spouse and your spouse only. That attorney will do everything to benefit their client to the extent of making you believe that there is no need to hire another attorney or file an answer; however, you must remember that this individual has not been hired to act on your half and explain the intricacies of this matter to you. Hiring an attorney to represent your interest is the best way to ensure you receive the property settlement you deserve. There is a misconception that one of the parties in a divorce needs to leave the marital residence. This belief is false. Many divorcing couples today share the martial residence during a divorce absent any alleged abuse. Do not let your spouse convince you that you have to leave the marital residence. It is my opinion that the most abused parts of the Family Court system are the Temporary Restraining Order (TRO) filings. Obtaining a restraining order is used by divorcing couples as the first bid for the marital residence. Protect yourself at all times by using your cell phone to record events that may be escalating into an argument. Do not use threats or foul language against your spouse. Do not touch or yell at your spouse during heated discussions. Do not break personal items out of anger in the presence of your spouse. This type of behavior can cause a restraining order to be placed against you requiring you to be forced from the marital residence. It is important to know what assets exist during a marriage. Having proper records will ensure your spouse does not attempt to hide any of your marital assets. Many divorcing couples believe that only women are entitled to support payments. This is not true. Both men and women can obtain a support order and both will benefit from a visitation schedule. This is not the time to use your children as a weapon and proper support and visitation will ensure that your children will be effected in the least way possible during your divorce. Divorces are an emotional event and many spouses will use your emotions against you to gain an advantage in the divorce. This manipulation can include fear of expensive legal fees, loss of visitation and/or custody of your children, and the fear of what the future will hold for you both financially and personally. In order to make sure your guard is up even when your emotions have the best of you, you must hire an attorney you trust and that you feel has your back. 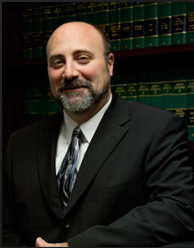 Contact the Law Office of Gregory C. Dibsie at (856) 227-4025 to ensure you don’t make one of the seven biggest mistakes during your divorce.